Thus far, Marvel hasn't called it quits on any of its standalone titles before giving us a full-fledged trilogy. Could Ant-Man be the first superhero who only gets two movies all to himself? It's unlikely. Michael Douglas, who plays the key character Hank Pym, creator of the Ant-Man suit and the first to wear it, has chimed in with an Ant-Man 3 update. And it sounds more positive than anything else. Marvel hasn't announced any of its upcoming Phase 4 slate on an official level. Though some titles for this next line-up of movies have been confirmed by big boss Kevin Feige and others working within the MCU. We know that Spider-Man: Far From Home will be the first official entry in Marvel Phase 4, with this summer's Avengers: Endgame ending Phase 3. We've also been promised Black Panther 2, which is a no brainer. Preproduction work has started to rev up on Doctor Strange 2, and we keep hearing that a standalone Black Widow movie will be shooting sooner than expected. So where does that leave Ant-Man and his ragtag team of heroes and villains? We know Scott Lang is going to play a major role in Endgame, having escaped the Quantum Realm. It is not yet confirmed if Michael Douglas, who's Hank Pym was dusted in Thanos' Decimation at the end of Ant-Man and the Wasp, will be back this summer, though. Asked if he knew what was up with Ant-Man 3, he did confirm that some talks regarding another sequel have happened. But he expects to be the last to know when and if it gets officially announced. "There's been talk [about another Ant-Man]... [but] there's been nothing formal right now that I know of. They always kind of spring it on me. The first time you hear about it, it's already in its third rewrite." In announcing their Phase 2 and Phase 3 lineups, Marvel and Disney made a big show of it, renting out the iconic El Capitan Theater in Hollywood for an all-day press event. That exact same thing is expected to possibly happen sometime this summer, after Spider-Man: Far From Home opens. There, we should hear whether or not Ant-Man 3 will be going into production anytime soon. 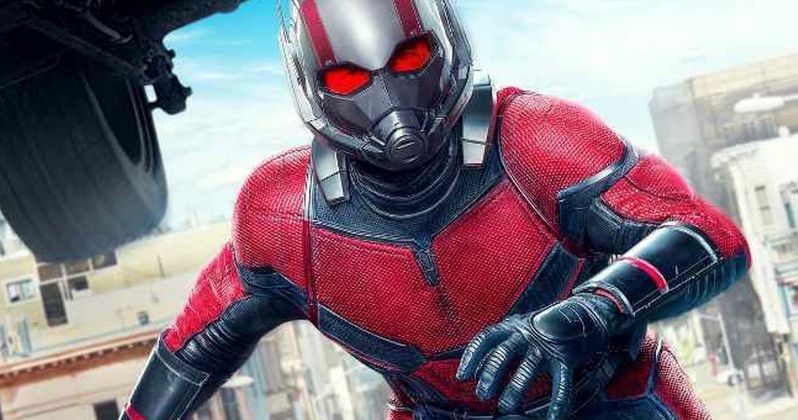 Peyton Reed has directed both Ant-Man movies, and he has a good working relationship with Marvel, so it wouldn't be surprising to see him return for yet more Scott and Hank adventures. It is expected that some of Hank's Quantum Realm tech will actually help our surviving heroes defeat Thanos this April. Michael Douglas shared his recent thought on the franchise in an Interview with Entertainment Tonight. Here's what he says about showing up in Endgame. "You know I can't say a word about that. They have one of those machines that, as soon as you say the word 'Avengers,' a blowgun comes to the side of my neck." If Hank Pym does show up in Endgame, he's not expected to have more than a couple of lines in what will surely amount to nothing more than a glorified cameo. But you never know, lesser characters have taken on much bigger roles in some more important MCU movies. Pym might hold the key to destroying Thanos once and for all, but we expect that will actually be something that befalls Captain Marvel.